You've all heard the saying that beauty comes from the inside, right? Well, it's true...In more ways than one! Have you ever seen a woman who is just glowing? (And no, I don't mean the pregnant glow!) Thick, shiny hair. Dewy, flawless skin. Just an overall appearance of health and femininity? Chances are, that gorgeous woman takes very good care of herself, starting on the inside! There are a lot of different supplements that can actually improve your physical appearance on a cellular level. Without a good nutritional routine, no amount of primping will give that glowing, gorgeous look. Unless, of course, you're a model and have your photos airbrushed to remove imperfections. Or a Kardashian, who just happens to be annoyingly perfect to begin with! Some of these ingredients are well-known, like Collagen. This important ingredient actually works to re-build your skin, allowing it to appear plumper, and even younger. (Yes, really!) Collagen is "beauty's protein" and not only helps the skin, but helps keep hair and nails looking their best as well. Collagen can be found in gelatin, and is offered in many supplements. They're not all created equal though, and I will get into that in a moment. Another ingredient that does wonders for the appearance is Hyaluronic Acid. This is collagen's partner in crime, so to speak. While the collagen repairs and rebuilds, Hyaluronic Acid hydrates. It has literally been called Nature's Moisturizer.This is what gives the skin a more youthful look, and helps reduce the appearance of fine lines and wrinkles. Add some Vitamin C to the mix to enhance performance , and you have one powerful and effective way to enhance beauty from the inside out. Sadly, Collagen, Hyaluronic Acid, and Vitamin C are hard to find all in one place. And who wants to take about a zillion supplements in a day? I am a mom, and I simply don't have time for that. My days are spent trying to chase down toddlers, stay one step ahead of a sneaky teen, train puppies, keep on top of a blog and the housework, and feed my family...So I would never remember to take a ton of supplements every day. That is why NeoCell is a God-send in my life. I have worked with this awesome company several times now, and not only are they a joy to work with, their products are amazing. Disclosure: Newly Crunchy Mama Of 3 is not responsible for prize. If the winner picks up a stroller with a lower value, the winner will not get the remaining value of the prize. 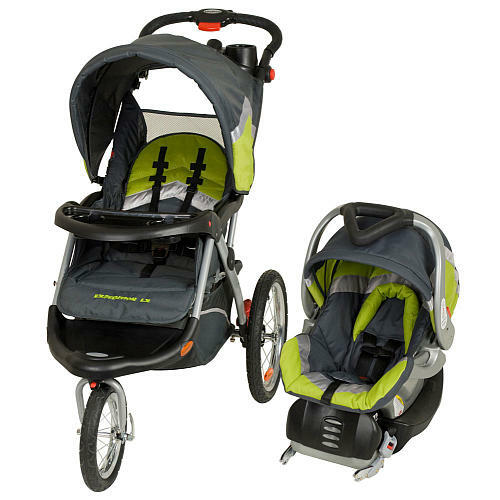 The prize can't be changed from any other prize than the stroller. As well as our fantastic co-hosting blogs: Capri's Coupons, Kelly's Thoughts On Things, Family, Love & Other Stuff, Coupon Queen of Texas, Life's Cheap Thrills, Swank Savings, Down South Savings and Secret Southern Couture. One lucky winner will receive a Coach Madison Floral Pink Top Handle Handbag. 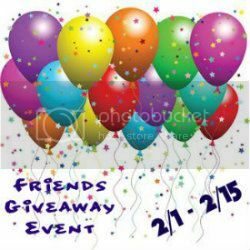 Giveaway ends February 14th, open worldwide, ages 18+. To enter please use the Rafflecopter form below. Good luck! I have 2 toddlers. My daughter, Sophie, is 3 years old, and my son, Xander, just turned 2. So needless to say, bed time in my home can turn into a sticky situation rather quickly. Especially lately. You see, we all came down with whatever mutant cold/flu virus has been going around, and this has greatly disrupted everyone's sleep schedules. The babies had such a hard time sleeping because once they laid down, they started coughing. So of course they woke up and were absolutely miserable, and I woke up to care for them. To be completely honest, I am still running on very little sleep because 3 weeks of illness has really wreaked havoc on our internal clocks! Rather than falling asleep at decent, normal hours, the kids have become night owls. I have been trying everything to encourage them to go to sleep at a more acceptable time. That's why I was so excited to learn about Shushybye Baby. Time To Celebrate With A Pull-Ups First Flush Party! As a Pull-Ups First Flush Ambassador, I recently got the opportunity to host a great "Potty Party"! The awesome folks at Pull-Ups sent me some great party kits full of coupons, progress charts, stickers, and of course, noise-makers and adorable party hats! We had our little soiree a couple of weeks ago, and we had several neighborhood kids over. Sadly, many of the parents did not want their children's images to be published for privacy reasons which I have to respect, so I will be featuring pictures of my own toddlers partying it up. I completely understood their concerns, especially since I am "that parent" that won't allow my teen to have a Facebook or get online without complete and total supervision. While this threw a bit of a wrench in things, it certainly didn't stop us from having fun! We had a great time sharing potty-training stories and watching the kids' excitement as they did the Potty Dance. (Yes, I just happened to have that DVD on hand already!) We also watched "Once Upon A Potty", which is a great potty-learning DVD that has been a God-send in helping my kids learn not only about potty-training, but also their own bodies! Even my soon to be 13 year old benefited from this DVD when he was a toddler! !